At Dr. Dan’s we utilize a combination of both Nutrition Response Testing and Morphogenic Field Technique to evaluate each patient. Nutrition Response Testing is a non-invasive system of analyzing the body to determine the underlying causes of ill or poor health. With Nutrition Response Testing, we address the root of the issue – not just the symptoms. This technique is a form of applied kinesiology or otherwise known as “muscle-testing”. Nutrition Response Testing works by allowing your own body to communicate where and why imbalances are occurring internally and causing symptoms of poor health. We scan your body using a specific form of muscle testing called Nutrition Response Testing to check the health of your glands, such as the thyroid, and also the major organs: heart, liver, lungs, pancreas, etc. Energy flows exist between all parts and organs of the body. 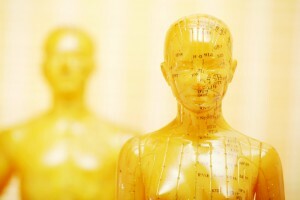 In traditional Chinese Medicine these energetic pathways are known as “meridians”. The Nutrition Response Testing procedure is performed using your extend-ed arm with one hand and contacting a specific reflex area with the other hand. If the tested reflex is stressed, your autonomic nervous system will kick in and will respond by reducing energy to the extended arm (meaning the arm will weaken and drop). This “drop” of your extended arm indicates underlying stress or dysfunction in that specific area of your body which can be greatly affecting your overall health. These energetic flows can become disrupted by major stressors in the food we eat and/or toxins in our environment. When performing Nutrition Response Testing, we can scan the body and all of the reflex points for the most common stressors that are causing symptoms of poor health: heavy chemical toxicities (found in our environment), hidden food allergies or sensitivities, heavy metal toxicity, scar interferences, immune challenges, dental problems and auto immune disturbances. When these stressors accumulate in our body they can build up as toxins over time and start to impair the function of major endocrine/metabolic glands and organs that are crucial to our health. Once we discover the underlying issue and where it is affecting your body, we test to see what nutrients you are lacking due to this toxin overload. When your body receives the proper amount of nutrients in the forms of whole food essential minerals, vitamins and antioxidants, many imbalances in your body come back into balance. When that happens, symptoms lessen and are able to heal and, in most cases, disappear. The Morphogenic Field is a term used to describe the field of energy around the body. It is an extension of the electrical energy of the nervous system. Just as all electrical systems have electromagnetic fields that surround them, the brain is an electrical generator with its own field of energy that extends away from the physical body. Many cultures and disciplines recognize this field and give it other names. When people discuss auras, chakras, life force or chi, they are possibly talking about this same energy field. In the Morphogenic Field Technique, we rely heavily on information from the energy field of the cell to guide us in developing nutritional protocols for the individual patient. Cellular communication is the ultimate goal. When we address the exact nutritional needs at the cell level, we affect the greatest change in health. After all, healthy cells are required for healthy tissues. Healthy tissues are required for healthy organs. Healthy organs should then result in a healthy organism. Nutrition Response Testing/Morphogenic Field Technique Initial Health Evaluation includes two visits. The first visit includes Nutrition Response Testing/Morphogenic Field Technique Initial Evaluation by Dr. Dan and a Heart Rate Variability test. For those patients over 50 we will also perform a Max Pulse test. The second visit includes the Review of Findings by Dr. Dan, a review of your food log by our Patient Advocate/Nutrition Counselor, and explanation & handouts of your individualized plan. Initial Evaluation – $200 (*plus any recommended nutritional supplements) with a $50 deposit at the time of booking the appointment. Medical History Forms for New Patients (PDF).